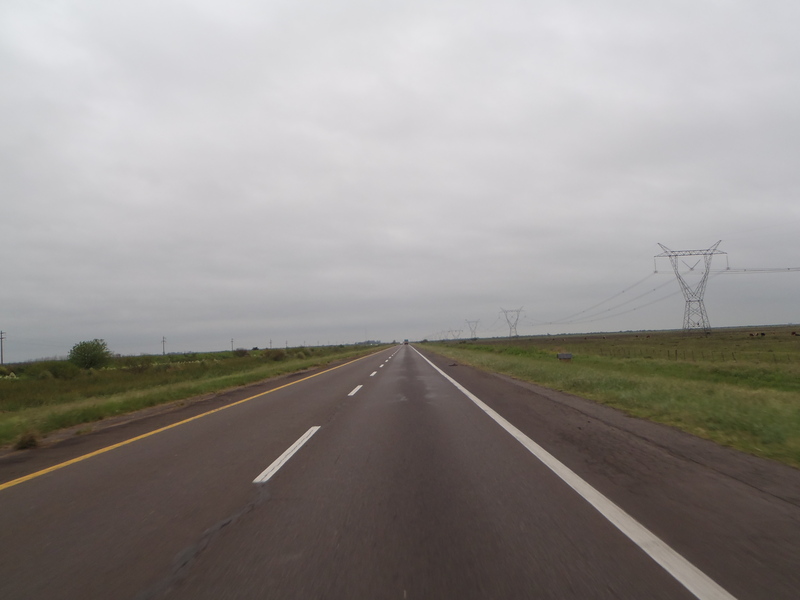 Argentina: Iguacu to Buenos Aires (27th October to 30th October) | I should have turned left! After leaving Iguaçu I hit the Brazilian / Argentina border and it was the easiest border crossing to date. On the Brazilian side it took about 5 minutes to get my passport stamped, no bike formalities. On the Argentinean side I rode up to the booth, I did not even need to get off my bike the lady asked for my passport and bike documents. She then filled some stuff in on the computer, I did not need to fill in or sign any documents. Once finished I asked her is that it and she said sure just stop at the customs officer. The customs officer just asked me if I had insurance for Argentina I said no and so she gave the name of the insurance company and said I can get it in the next town. ALL this while I am still sitting on the bike. DAMN easy man. Unfortunately the insurance company in the town could not do insurance for a foreign bike so sent me to another company, but they were closed. So I decided I had to risk it until I got to a larger town. About 100kms after the border crossing I was riding along and this ox pulled up next to me, the guy hooted and waved me down. I waved back but though hell no way am I stopping. He pulled on the other side of me and gave me a thumbs up and motioned me to pull over, so I thought ok some biker who wants to say hi so I pulled over. He stopped and started speaking to me in German Awesome, I immediately realised that he had recognised the Zurich number plate. 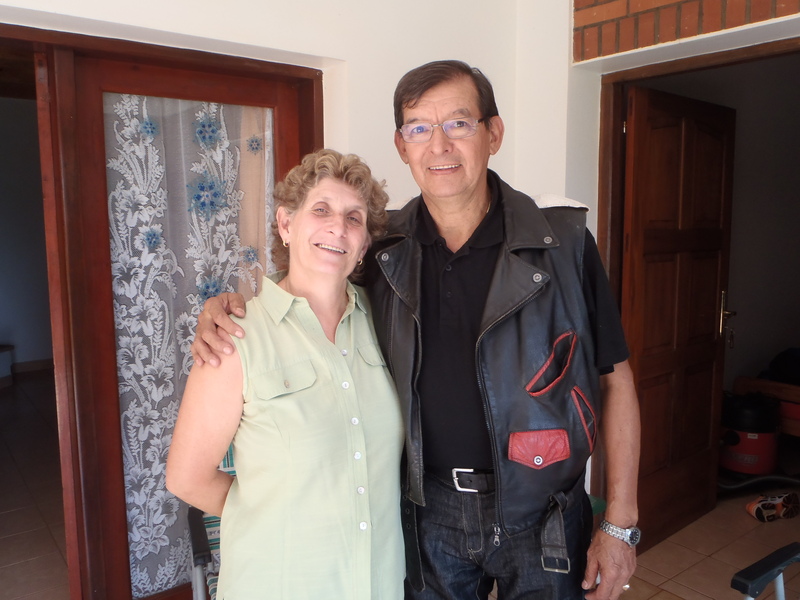 To cut a long story short Carlos is Argentinean but lived in Switzerland for 30 years, his wife Vreni was born in Argentina but from Swiss parents. All 4 of their kids and 5 grandkids live in Switzerland. When Carlos retired he returned to Argentina with Vreni, but visit Switzerland every year. They live in a small village in north Argentina and it is full of Swiss and German people. Carlos asked me please to come home with him to meet his wife so I said yes since the chance to hear & speak German for an afternoon with such nice people was just too tempting. Carlos called Vreni and just said ‘’mama get the spaghetti on we have a visitor for lunch’’. Needless to say I spent the next 3 hours speaking German and eating spaghetti it was FANTASTIC 🙂 What a lovely couple and what a yummy home cooked meal. Carlos is also a biker and we then rode through his little village together and back to a town called Puerto Rico to get my bike insurance as Carlos knew exactly where to get it done. SUPER insured up off I went thanking Carlos for his help and wonderful hospitality. I spent a night in Posada another in Colon and finally arrived in Buenos Aires. The riding in Argentina was easy the roads were great. The birdlife along the way was also excellent I cannot believe how many birds of prey I saw over those few hundred kms. 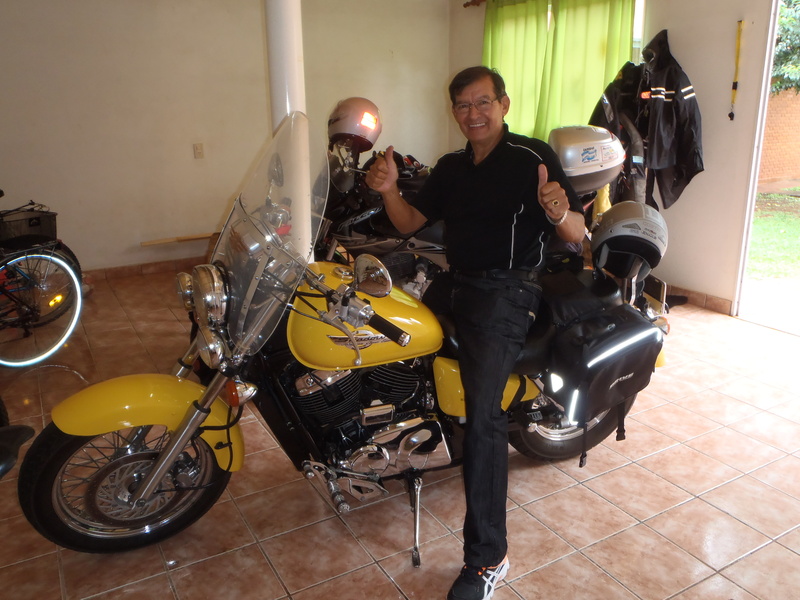 The last day of riding was a wet one but fortunately I only had 350kms to ride, arriving in Buenos Aires very cold and wet but a hot shower later and I could feel my feet again. I could not believe I was finally in Buenos Aires and when Joern arrived at 5am on Saturday morning I was the happiest women in the world. We’ll be spending a week in Buenos Aires sorting out bikes and then we head south.